Tired? Stressed out? Sick of the cold and snow? If you answered yes to any of these questions,then your swimming pool and hot tub contractor from Imperial Pools says you need to spend more time in your hot tub. You can soak away your stress in a hot tub and you can get the chill out of your bones! Hot water is the remedy for the chill in your bones and the stresses of every day life. If you own a hot tub and if you don’t used it very often, you may need to start using it more frequently. The heat of the water, the jets the idea of being in a water-filled structure with loved ones and you can feel your stresses floating away. If you add an entertainment center, lighting, a television stragetically placed in the outdoor living area and you can see how being in the hot tub will let you enjoy the best of the indoors while being out of doors. Consider adding aromatherapy to the hot tub experience. Essential plant oils have different health benefits from relaxation to healing. Healing essential oils can also help sooth skin issues and other physical conditions — talk with someone who is well versed and knowledgeable about oils before you use them. Essential oils, though can infuse the area with soothing scents. You don’t want to soak in the dark, so look for lighting features that will add to the ambiance of the time spent in the hot tub and the time you’ll spend relaxing in the outdoor living space once the hot tub soak is over. Don’t forget to install a towel heater — ideal for those cool nights when you’re soaking and can get out, wrap in a warm towel or robe and keep the relaxation going. 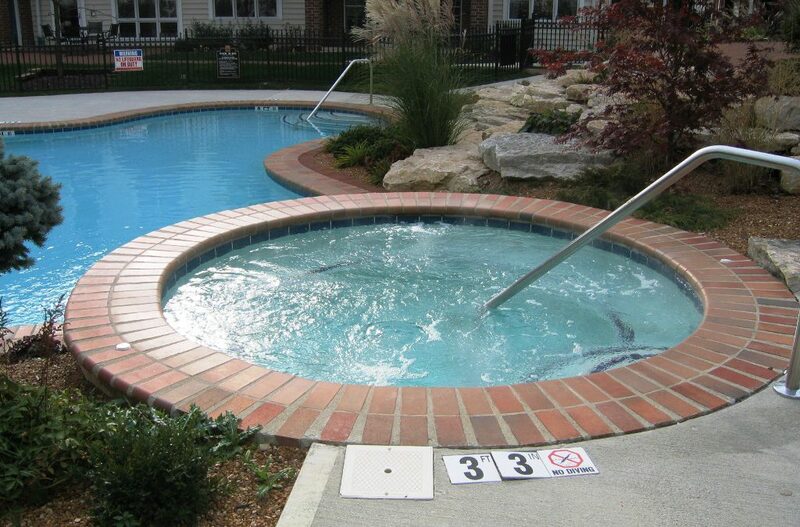 What kind of landscaping do you have around your hot tub? That can set the mood for relaxation. If you can see into the neighbor’s back yard and they can see into yours you aren’t going to get as much relaxation from the hot tub soak as you might have hoped. Consider adding a deck, fencing or landscaping items such as trees and plants and fencing to add to the privacy of your hot tub. It’s also been shown that a short soak can help you sleep even better. So spend time in your hot tub year-round and reap the health benefits!